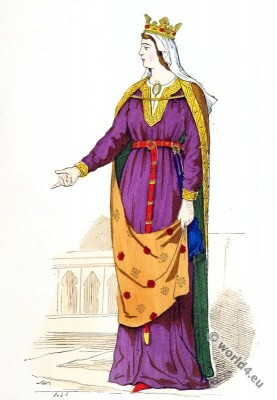 Capetian queens costume 1380. 14th century fashion. Home » Capetian queens costume 1380. 14th century fashion. Reine capétienne en 1360: (Portail de la cathédrale de Chartres.) From the book: Costumes civils et militaires des Français à travers les siècles. 1883. Author: Jean Baptiste Marie Augustin Challamel. Engraver: Meunier, Jean-Baptiste. Ouvrage couronné par l’Académie francaise. The Carolingian Period 987 to 1270. 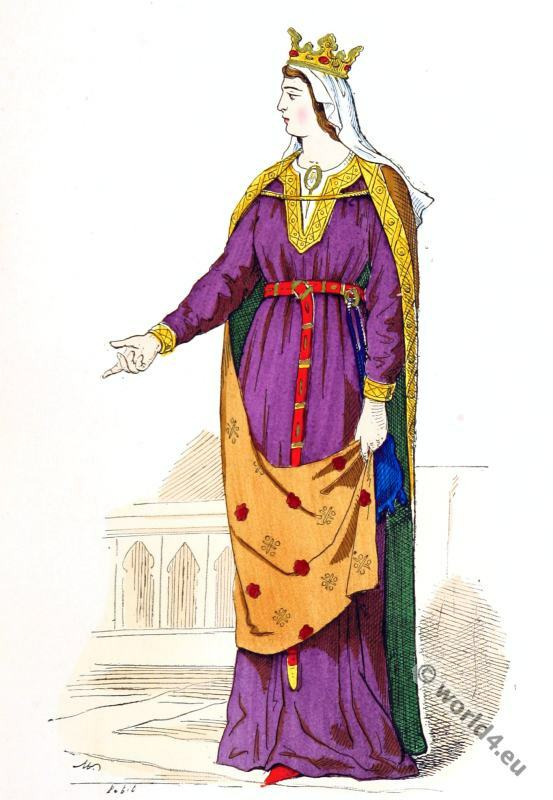 Frankish Fashions. The Ladies of Old France. Gallery: Renaissance Fashion under the Reign of Francis I. 1461 to 1574. This entry was posted in 1380, 14th Century, France, Middle Ages, Nobility, Renaissance and tagged Gothic costumes, Medieval costume on 2/19/15 by world4.